Today i'm gonna show the Memento design pattern in action. 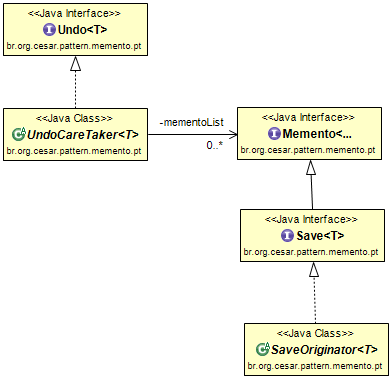 The Memento design pattern is a very useful programming design pattern whenever you need to perform save, undo and restore functions. In our example we will see, how we could perform save and undo actions restoring objects from a text file. That's the generic interface you could use while dealing with memento's capabilities. We will implement the memento on the fly in the Originator bellow. In other words, as soon as we need it in line. That's the abstract implementation of the interface generic interface Save. Finally, let's see how it works in practise.